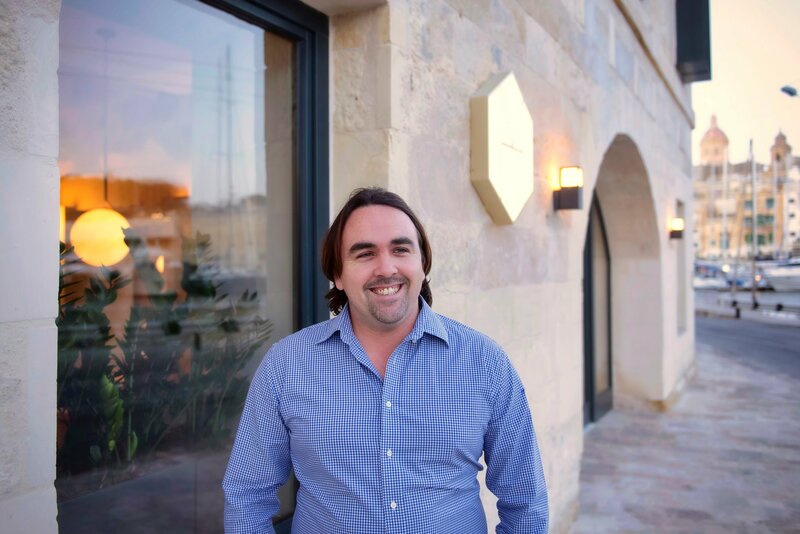 Chris Hammett is an award-winning chef and restaurateur and founder of Hammett’s Collection: a growing company of restaurant establishments in Malta. Famed for its unique dining concepts, the franchise is renowned for its excellence in quality cuisine and kitchen brigade. Chris Hammett is a celebrated alumnus of Le Cordon Bleu, renowned for creating innovative restaurant concepts and experiences around the island. A Mediterranean upringing played a big part in his passion for cuisine, where family-time revolved around creating great food and using the best of seasonal produce. Knowing early on that this was the career he wanted to persue, Chris went on to grow his experience beyond Malta’s shores in Michelin-starred kitchens around London before undertaking formal training at Le Cordon Bleu London. His training at the esteemed culinary school opened his eyes to a plethora of different flavours, giving him the ability to merge traditional Mediterranean cuisine with modern techniques. On completion of his Le Cordon Bleu Diplôme de Cuisine in 2008, and with a finely tuned skillset, Chris returned to Malta and opened his first venture, ‘The Villa’, a modern, Mediterranean restaurant. After nearly a decade as Head Chef and building an exceptional reputation for fine dining, Chris moved on to launch Hammett’s Collection, a group of entities run by The Villa’s former award winning kitchen and front of house brigade. The first venture for Hammett’s Collection was Hammett’s Gastro Bar: a unique, city-inspired, social dining experience offering a wildly innovative plates-to-share concept with culinary influences, ingredients and imaginative cooking techniques from around the world. At Hammett’s Gastro Bar you can expect to taste and share a variety of complementing cuisines in one sitting. Just months after opening, Hammett’s Gastro Bar has ranked first in its category for food, service, ambience and overall rating by the Definitively Good Guide, Malta’s most credible restaurant survey. More recently, Chris Hammett launched another fine-dining restaurant in a 16th century fortification, Hammett's Maċina Restaurant, offering a ‘taste of history’ with a culinary representation of the island’s succession of powers in the form of modern Mediterranean cuisine. Set atop this UNESCO World Heritage site is Hammett’s Collection’s 3rd venture: The Sheer Bastion, a venue for celebrations serving immaculate canapes and dishes using only the finest local, seasonal produce. Would you recommend the Diplôme de Cuisine to a potential student? I consider Le Cordon Bleu’s Diplôme de Cuisine as the passport to world of food. The comprehensive programme not only provides a student with the theory and basic skillsets to enter the industry, but also gives the student the ability to apply a high level of technique and knowledge to any creative style or concept in their career. How did your studies at Le Cordon Bleu London assist you with starting and running your own businesses? Le Cordon Bleu provides you with the exposure to the best chefs from around the world to teach you to create the finest food. The school has the ability to grow your passion further even if you think that wasn’t possible. You can find out more information regarding our Diplôme de Cuisine in our programmes section.